The folks at Senner Tuning certainly seem to have been very busy lately. It was just last month that we introduced Senner's Audi A1 and now the German tuner has another Audi tuning package, this time for the A5 Cabriolet. 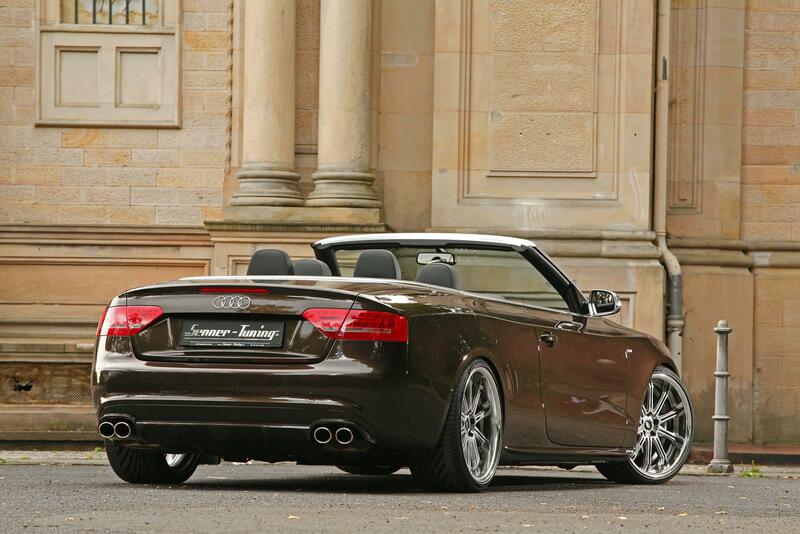 Featuring an "RS" bodykit, 20" wheels and a few extra go-fast mods, Senner's new Audi A5 Cabriolet tuning program offers RS5 looks in drop-top form. 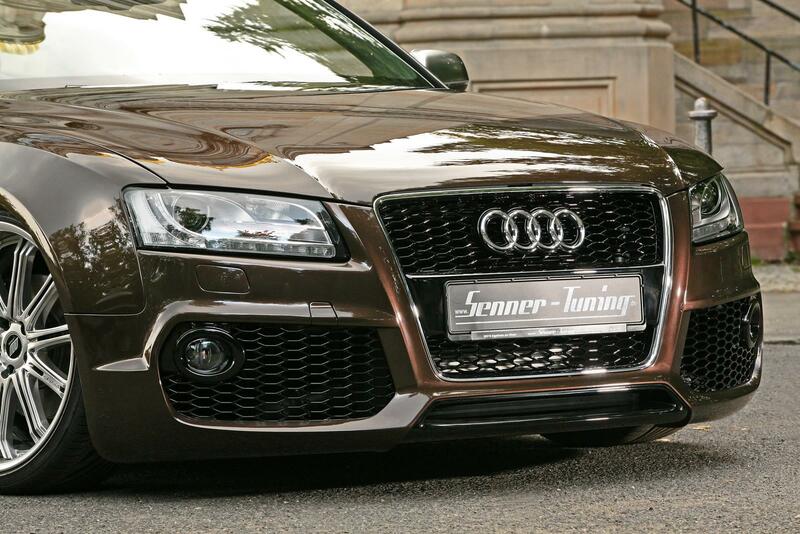 Outside, Senner's RS bodykit features RS5-style front bumper, rear valance and mirrors, RS6-style rear spoiler and an upgraded grille. The most noticeable upgrade however, may be this A5's wheels; featuring two different wheel designs on each side of the car. On the right are Varianza TIS light metal rims and on the left, Schwert (“Sword”) SC1 light metal rims in silver chrome with anodized lips. Both designs measure 9x20 inches (front) and 10.5x20 inches (rear) and are wrapped in Vredestein rubber. 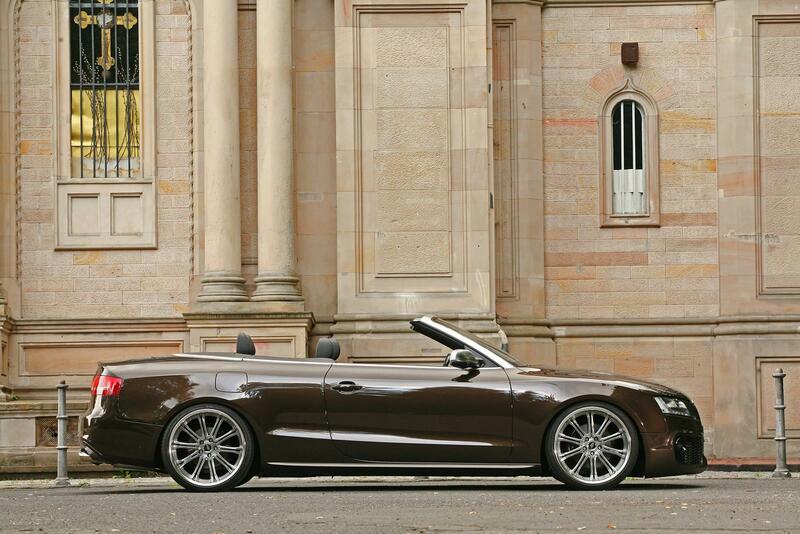 Under the hood, the A5 Cabriolet's 2.0 TFSI is boosted to 275 HP and 317 lb-ft of torque thanks to an ECU upgrade, performance air filter and a Senner "power converter" (responsible for the acceleration of the electronic gas signal). Rounding out the performance modifications is a stainless steel sports exhaust system featuring four 88x74mm pipes, producing a sound that Senner describes as "guaranteed to give you goosebumps." 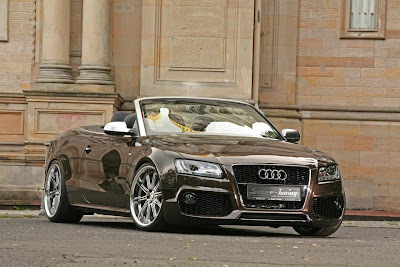 The German tuner Senner Tuning Inc., known for its extravagant modifications, has now placed the golden crown on the Audi A5 Cabriolet. 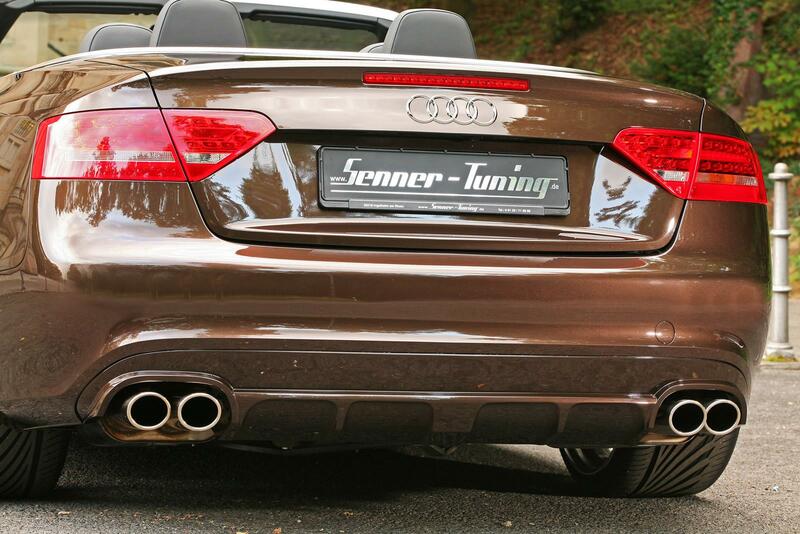 The Audi tuner Senner Tuning Inc. is offering an extensive individualisation program for the current Audi A5/S5 Cabriolet. 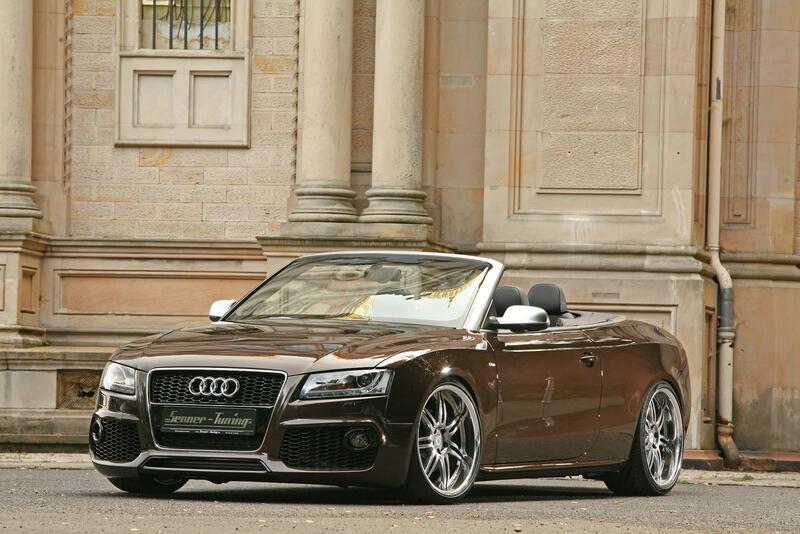 The Senner Tuning Inc. has fired up the new, blazing A5 2.0 T-FSI Cabriolet even more. The performance of the turbo petrol engines has been increased to 275 HP and 430 Nm with the use of sports air filters and software optimisation. In addition, thanks to the Power Convertor (responsible for the acceleration of the electronic gas signal) the gas intake has an even quicker reaction time. 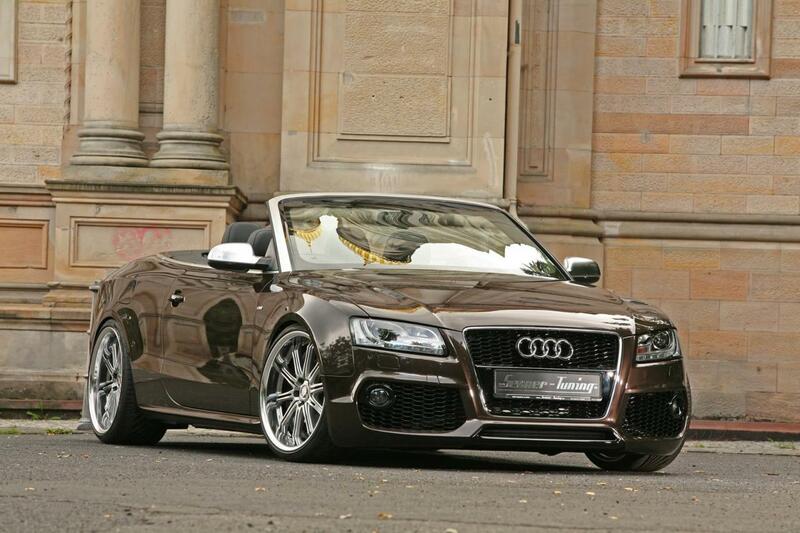 For the wheels, only the best was good enough. On the right are Varianza TIS light metal rims and on the left, Scwhert (“Sword”) SC1 light metal rims in silver chrome with anodised lips 9x20 inches and 10.5x20 inches in size with 245/30 R20 und 295/25 R20er Vredestein tyres – they cause quite a sensation. You don’t need to trim the wheel arch edges for that! 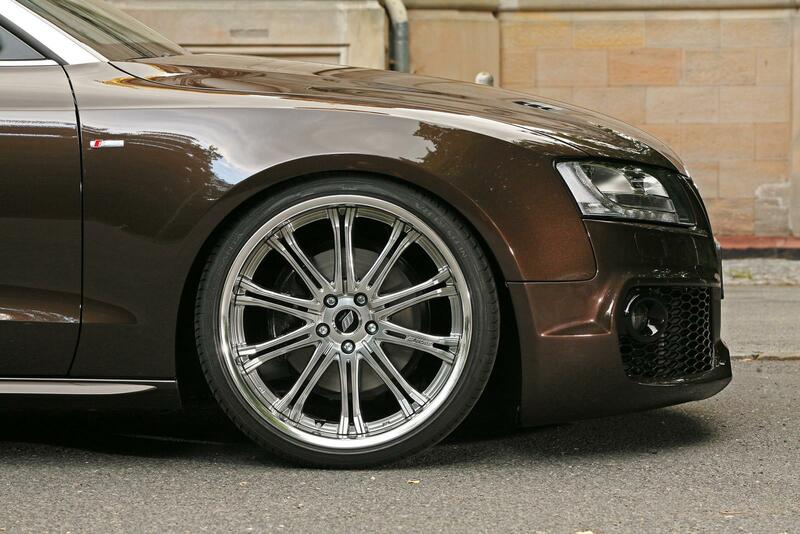 In addition to the work on the open heart and wheels, the Ingelheim team has also cosmetically improved the bodywork of the A5. The new spoiler in the RS6 Design as well as the cooler grill are examples of this, which includes exterior mirrors in the RS5 Design and a rear valance with sporty diffusor fins.